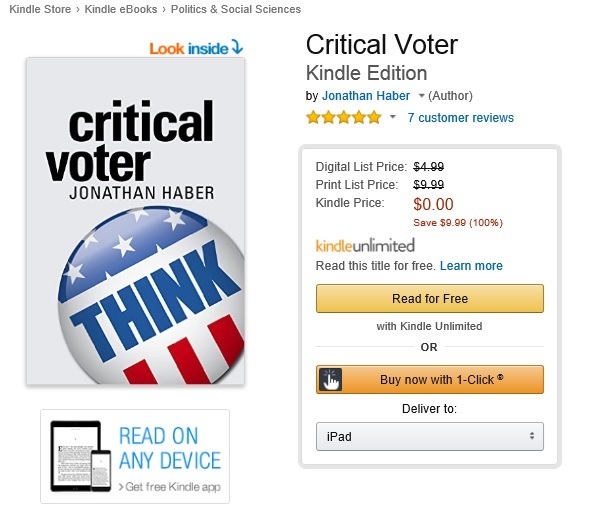 From today until Friday, the Kindle version of Critical Voter is available for free at Amazon. So download it, read it, enjoy it and – if you can – please reach out to anyone you think might be interested in the subject and let them know about this one-week promotion. Back tomorrow with more critical thinking lessons from Election ’16.